Volkswagen has announced that it will take a 49.9% stake in sports car maker Porsche in a first step towards merging with the company. Volkswagen’s initial plan was to acquire 42% of Porsche and with the increase in stake, Volkswagen’s position in the equation will be stronger sooner than expected. 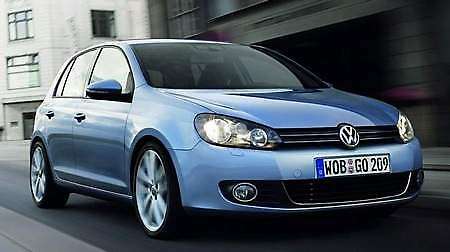 The German auto giant also assured that the merger between both companies is still scheduled to take place in 2011. Currently both companies are working together in certain areas such as manufacturing the Porsche Cayenne and the Volkswagen Touareg in the same plant as well as the utilization of Volkswagen’s 3.6 litre V6 by Porsche. The above mentioned 49.9% stake will cost $5.8 billion and the company also assured that it is committed in “preserving the independence and the interests of Porsche” – which is a good move. Porsche will join other brands like Bugatti, Audi, Lamborghini as well as Bentley to become the company’s 10th brand. Volkswagen also announced that it plans to increase its preferred share capital by the first half of 2010 in order to refinance the participation and maintain Volkswagen’s good credit rating.